Providing you the best range of cranberry extract, varuna extract, punica granatum extract, alfalfa extract, flax seed extract and garcinia cambogia extract with effective & timely delivery. Cranberry is an evergreen herbal shrub planted in North America. Berries and juice of cranberry are used to make medicines for preventing urinary tract infections. Quantity = 200 Gram (As a natural herbal extract). Note These rates are applicable for personal use only if the quantities are change, rates would be negotiable. Plant Part Used Bark, root bark, and leaves. 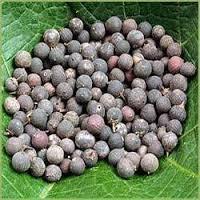 The bark of varuna is believed to have antioxidant, contraceptive, anti-inflammatory, antimicrobial, and urinary-renal supportive qualities, the root is laxative and lithinotriptic and the leaves are believed to be stomachic and tonic. Varuna is used by traditional Ayurvedic herbalists to increase appetite, while stimulating digestion and elimination and also as an herbal treatment for flatulence and abdominal pain. Varuna is also discussed in ancient Vedic literature as an important herb for use as a blood purifier. The bark of the varuna is believed to be especially effective when used to treat infections of the urinary tract. It is used extensively in migraine, dysuria, renal calculi, intestinal worms etc. This herb is in use since the time of Vedas. 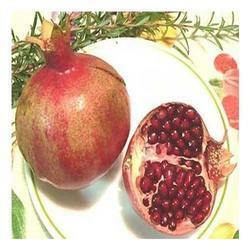 We offer the best Punica Granatum Extract to our clients at an affordable price. The product is absolutely natural and can be consumed on a regular basis. The extract is chiefly used to treat diseases like dysentery, diarrhea, inflammation of stomach and cardiac problems. When consumed according to the prescription, this extract yields best results. Alfalfa Extract Offers A Concentrated Source Of Several Micro nutrients, Or Vitamins And Minerals. According To Nutrition Data, An Online Service Provided By "Self" Magazine, Sprouted Alfalfa Seeds Are An Excellent Source Of Vitamin K, Which Is Essential For Normal Platelet Function. Alfalfa Extract Also Contains Six B-vitamins, Vitamin C And Beta-carotene. Because Of Alfalfa Extract's High Vitamin K Content, It Is Not An Appropriate Supplement For People Taking Anticoagulants Such . According To The National Institutes Of Health, Or NIH, Compounds In Alfalfa May Help Reduce Low-density Lipoprotein, Or "bad" Cholesterol Levels, Without Impacting "good" Cholesterol. The NIH Also Reports That Alfalfa Reduces Cholesterol Plaques In The Arteries Of The Heart, A Serious Condition Known As Atherosclerosis. Although Preliminary Evidence Is Encouraging, The NIH Notes That There Is Insufficient Evidence To Conclusively Prove Alfalfa Extract's Benefits For Treating High Cholesterol. Do Not Stop Taking Any Cholesterol-controlling Medication Unless Your Doctor Instructs You To Do So. Although Evidence Is Limited, The NIH Notes That Alfalfa Appears To Cause Slight Reductions In Blood Sugar Levels. Because Of This, Alfalfa Extract May Be Used As A Complementary Or Alternative Treatment For Type 1 Diabetes, Type 2 Diabetes And Reactive Hypoglycemia. Until Further Studies Have Demonstrated Its Efficacy, It Is Best To Avoid Using Alfalfa To Self-treat Blood Sugar Fluctuations. The NIH Warns That It May Theoretically Cause An Abrupt Drop In Blood Glucose Levels, Particularly When It Is Combined With Other Blood Sugar-lowering Products. Hormonal EffectsAlfalfa Extract May Offer Benefits To Women Suffering From Hormonal Imbalances, Infertility And Problems With Lactation. According To The NIH, Alfalfa Contains Natural Plant Compounds That Are Chemically Similar To Estrogen. The NIH Acknowledges Alfalfa's Theoretical And Traditional Use As A Menopause Remedy, Breast Cancer Treatment And Uterine Stimulant. However, No Studies Have Confirmed Its Safety Or Effectiveness For Any Of These Conditions. Traditionally, Alfalfa Was Used To Stimulate Breast Milk Production In New Mothers. Because Of Its High Vitamin K Content, Modern Midwives May Recommend Alfalfa To Pregnant Women And Mothers Of Breastfed Newborns. According To The NIH, Babies Should Receive Vitamin K Shortly After Birth To Prevent Vitamin K Deficiency Bleeding, A Life-threatening Hemorrhagic Event. Although Intramuscular Vitamin K Injections Are The Primary Method For Preventing This Condition, Some Alternative Practitioners Recommend That Pregnant Women Use High-vitamin K Products Like Alfalfa To Enrich The Vitamin K Content Of Breast Milk. Flax seed benefits could help you improve digestion, give you clear skin, lower cholesterol, reduce sugar cravings, balance hormones, fight cancer and promote weight loss and that's just the beginning! Common Name (s) Brindle berry, brindall berry, garcinia, malabar tamarind, hydroxycitric acid (HCA), citrin, gambooge, gorikapuli, uppagi, garcinia kola, mangosteen oil tree. Malabar tamarind is a fruit-bearing plant native to the southern portions of Asia and Asia Oceana. Also known as garcinia cambogia, this member of the garcinia genus has long been an important part of the diet of native peoples living in these regions. Malabar tamarind is found in rainforests in various regions of coastal Asia and Pacific Oceana. Malabar Tamarind is more popularly known as Garcinia Cambogia. 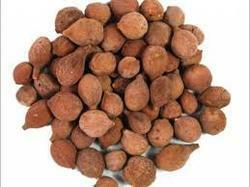 Other names that it goes by are Gorakkapulli, Goraka Pulli, Panampulli, Assam Fruit, Manda Huli, Mangosteen, and Vadakkan Puli. Here is some great information about this fruit including how to helps with weight loss. Amaltas Supports The Digestive System And Often Recommended In Loss Of Appetite, Indigestion And Flatulence. Amaltas Benefits A Lot in Skin Diseases Especially Involving the Itching, inflammation and suppuration Conditions. 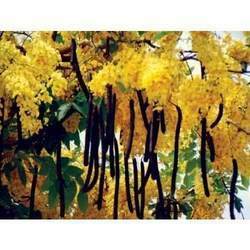 Amaltas reduces fever, cold, swelling of throat, asthma symptoms. Amaltas Also Alleviates Undue Stress From The Heart Resulting From Digestive Disturbance. Amaltas subsides gas, flatulence, acidity. It reduces colic pain. It eases the discomfort of piles, stops bleeding from different parts of the body. It can be used as a first step towards the treatment of Gout and Arthritis. Note: These rates are applicable for personal use only if the quantities are change, rates would be negotiable. Andrographis paniculata is a bitter tasting annual plant, referred to as the "king of bitters." It has white-purple flowers and it is native to asia and india where it has been valued for centuries for its numerous medicinal benefits. 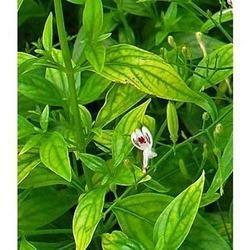 Over the past decade, andrographis has become popular in america where it is often used alone and in combination with other herbs for a variety of health purposes. According to memorial sloan-kettering cancer center, the active ingredient in andrographis is andrographolides. 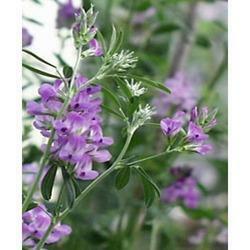 Due to the andrographolides, andrographis has potent anti-inflammatory and antimalarial properties. It also has antimicrobial properties, meaning it can help to fight off and prevent infections from harmful microorganisms such as viruses, bacteria and fungi. In addition, andrographis is a powerful antioxidant and it can help to prevent free radical induced damage to your cells and DNA. Scientists have discovered that andrographis helps to boost the immune system by stimulating the body's production of antibodies and macrophages, which are large white blood cells that scavenge harmful microorganisms. It is taken for both the prevention and treatment of the common cold, and it is often referred to as indian echinacea. According to thehealthierlife.co.uk website, the herb can help to hasten the healing time of colds and reduce the severity of cold symptoms such as sleeplessness, fever, nasal drainage and sore throat. Andrographis may also help to prevent and treat cancer, and preliminary studies done in test tubes found that extracts of andrographis help to treat stomach, skin, prostate and breast cancer, according to thehealthierlife. Due to the herb's antiviral properties, andrographis is used to treat herpes and it is also currently being studied as a treatment for aids and hiv as well. Andrographis also promotes heart health and can help to prevent the formation of blood clots as well as to dissolve already formed blood clots. In addition, the herb relaxes smooth muscles in the walls of blood vessels and thereby helps to reduce high blood pressure. Caralluma fimbriata is a succulent plant within the cactus family. Caralluma fimbriata has been consumed in rural India for hundreds of years and in many alternative ways in which like in raw type, with a vegetable with spices, or preserved in chutneys and pickles, and is commonly found as a roadside shrub or boundary marker at Indian roads. Caralluma fimbriata is basically a vegetable of daily use in tribal or rural elements of India. The most probable reason why Indians chomp items of caralluma fimbriata is to suppress appetite or hunger throughout operating hours all day or because of shortages of food. Caralluma fimbriata is additionally used among the operating categories in southern India to suppress appetite and enhance endurance. Because of this, caralluma fimbriata is an innovative new hunger suppressant medication that has taken the dieting bazaar by storm and is being proclaimed because the next returning of "hoodia gordonii", the previous market fad, however doubtless more practical and safer version than it. As caralluma fimbriata is all herbal and natural and is also obtaining mass acceptance and now introduced to the newly acquainted markets world over, it is also concluded in some studies that there is a medical benefits to the effects. Caralluma fimbriata over the human bodies. The caralluma fimbriata plant may be a genus within the asclepiadaceous family. Caralluma fimbriata has star formed flowers which will be black, purple, yellow or red. The flowers of the caralluma fimbriata usually seem within the summer or fall. The stems of the caralluma fimbriata are angular and have rudimentary leaves that resemble spines. The plant is clump forming. It's additionally one amongst the worst smelling of the cactus based plants. It is often found growing wild in urban centers of India and it's additionally found to be offered and seen planted at around a boundary marker in gardens and as a roadside shrub. Regardless of the age, a planned vegetarian diet can give you all the nutrition you require, as vegetables are rich in nutrition like caralluma fimbriata. Caralluma fimbriata is an appetizing kind of plant which is similar to cactus. Natural weight loss products are efficient and safe. However that scenario is not true always. Herbal or natural medicines may not be safe always. Some of them are not tested for efficiency or safety. 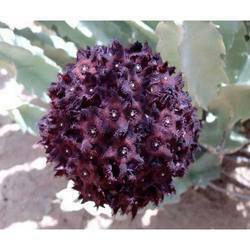 However, it is proved that caralluma fimbriata is one of the safest herbal and effective products out in the market. There are numerous herbs and other forms of botanical products that have been used in traditional medicines for centuries. One of the most ancient is fenugreek, which has usage dating back to the ancient Greeks, Romans, and Egyptians. Fenugreek extract is still used today for a wide variety of different ailments, ranging from its use stimulating milk production to its ability to work as a digestive aid. To understand how and why this little plant can be so potent, it's helpful to look at its use throughout the ages and current medical studies backing up these results. Fenugreek extract is derived from a plant that grows naturally throughout the mediterranean region of the world. It also is found in Morocco, India, and other warm climates. The extract is collected and is usually taken in capsule form for the easiest method of ingesting its numerous health benefits. In ancient greece and rome, fenugreek was used to help increase libido in men, as an aphrodisiac. Current scientific studies back up this use, because they point to its ability to balance hormone levels and potentially raise estrogen and testosterone in the body. This may explain why it has been used for amorous purposes throughout the centuries. Some other benefits of fenugreek extract which have been common knowledge in folk medicine for hundreds of years include its ability to soothe bronchitis and respiratory problems. It has also been used as a digestive aid, helping ease constipation, heartburn, and even acid reflux. With anti-inflammatory properties, it can be useful as a treatment for burns and wounds, as well as a way to bring down fevers. In the 19th century, fenugreek was particularly popular for its use in treating what were called "female complaints," ranging from menopause symptoms to pms pains. The use of willow bark dates back thousands of years, to the time of hippocrates (400 bc) when patients were advised to chew on the bark to reduce fever and inflammation. Willow bark has been used throughout the centuries in china and europe, and continues to be used today for the treatment of pain (particularly low back pain and osteoarthritis), headache, and inflammatory conditions, such as bursitis and tendinitis. 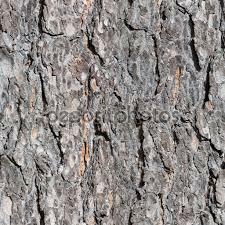 The bark of white willow contains salicin, which is a chemical similar to (acetylsalicylic acid). It is thought to be responsible for the pain relieving and anti-inflammatory effects of the herb. In fact, in the 1800s, salicin was used to develop . 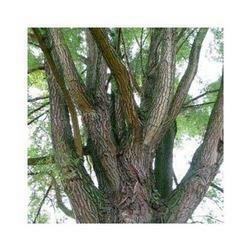 White willow appears to bring pain relief more slowly than , but its effects may last longer. The willow family includes a number of different species of deciduous trees and shrubs native to europe, asia, and some parts of north america. Some of the more commonly known species are white willow/european willow (salix alba), black willow/willow (salix nigra), crack willow (salix fragilis), purple willow (salix purpurea), and weeping willow (salix babylonica). Not all willow species accumulate a therapeutically sufficient amount of salicin. In one study, the amount of salicin after 1 and 2 year growth in autumn and spring ranged from 0.08 - 12.6%. The willow bark sold in europe and the united states usually includes a combination of the bark from white, purple, and crack willows. 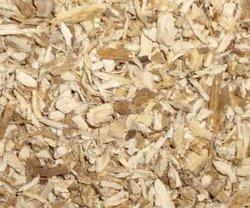 Willow bark is used to ease pain and reduce inflammation. Researchers believe that the chemical salicin, found in willow bark, is responsible for these effects. However, studies have identified several other components of willow bark that have antioxidant, fever reducing, antiseptic, and immune boosting properties. Some studies show willow is as effective as for reducing pain and inflammation (but not fever), and at a much lower dose. Scientists think that may be due to other compounds in the herb. More research is needed. Willow bark has been shown to relieve headaches. There is some evidence that it is less likely to cause gastrointestinal side effects than other pain relievers, such as () and other nonsteroidal anti-inflammatory drugs, do. However, studies have not shown this beyond all doubt, and people who are prone to stomach upset may want to avoid willow bark. Large scale studies are needed to fully determine how safe and effective willow bark is for chronic or recurring headaches. Willow bark appears to be effective for back pain. In a well designed study of nearly 200 people with low back pain, those who received willow bark experienced a significant improvement in pain compared to those who received placebo. People who received higher doses of willow bark (240 mg salicin) had more significant pain relief than those who received low doses (120 mg salicin). Moringa (botanical name "Moringa olefeira") or Sahijan also called Drumstick tree or Horseradish tree is a versatile tree useful not only for human beings but also for animals and also in various industrial applications. Moringa plant is beginning to gain more popularity as a new "superfood" for its highly nutritious profile and powerful anti-inflammatory, antioxidant, and tissue-protective properties.Moringa oleifera has been regarded as a food substance since ancient times and has also been used as a treatment for many diseases. It is very rich in healthy antioxidants and bioactive plant compounds. Family Name Myrsinaceae - Vidanga Kula. Hindi Name (s) Vaividang, Baibidang, Bhabhirang. Vidanga is one of the powerful anti-parasitic herbs of Ayurveda. It is widely used against intestinal worm infestation. It is the main herb of Ayurveda that effectively treats intestinal parasites (tapeworm, ring worm). Its use for expelling intestinal parasites is also recommended by Acharya Charak and Vagbhatta. 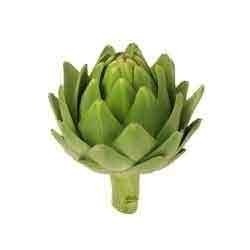 We offer quality Artichoke Extract at an affordable price to our clients. This product is absolutely herbal and is demanded across the world. It can be used effectively to detoxify the body and also to prevent cancer. It is also an effective cholesterol reducing agent and hence, is widely preferred by those who want to have fit body. 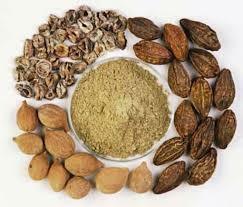 Baheda Extract is an excellent source of vitamin-A, B and C and many other nutrients. Literally meaning "three fruits", triphala is a traditional Ayurvedic herbal formulation consisting of three fruits native to the Indian subcontinent Amalaki (Emblica officinalis), Bibhitaki (Terminalia belerica) and Haritaki (Terminalia chebula). Amalaki(Emblica officinalis) Has a cooling effect that manages pitta, supporting the natural functions of the liver and the immune system. Bibhitaki(Terminalia belerica) Is particularly good for kapha, supporting the respiratory system as well as kapha accumulations in all systems. Haritaki (Terminalia chebula) Though having a heating nature, it is still good for all three doshas (vata, pitta, and kapha). Is known for its "scraping" effect, which removes toxins and helps maintain healthy levels of weight. Scientific Name Acorus Calamus Linn. 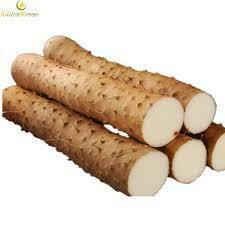 Vacha is a very very important herb that is considered so very highly in Ayurveda. 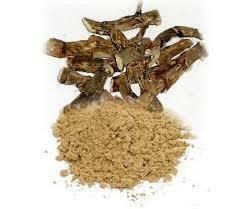 Acorus Calamus) is a potent nootropic herb. Its root (rhizome) is used in ayurvedic medicine for improving memory, cognition, intelligence, voice, and other mental abilities. Its main effects appear on the brain, vocal cord, stomach, liver, lungs, and uterus. Therefore, it is used for many diseases related to these organs. Vacha (Calamus) roots are used for the treatment of memory loss, Alzheimer's disease, tremors, anxiety, depression, and pain disorders of neurological origin. In addition to its nervier benefits. Vidari / Vidari Kanda and is a rejuvenating drug of Ayurveda. It is mainly used as reproductive tonic that promotes sexual desire, treats nocturnal emission in males and for females, treats menstrual disorders, menopause syndrome and uterus weakness. Vidarikand is a renowned rejuvenating tonic for the reproductive systems of both men and women. 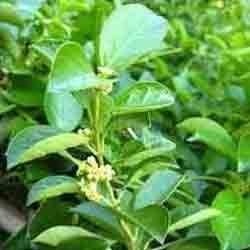 Vidarikanda is a very good herbal supplement in Ayurveda for weight gain. Vidarikanda helps to improve voice quality and is used by a lot of singers to improve their tone in a natural way. Vidarikanda has vajikarana properties also because of its action on the reproductive systemVajikarana is a drug in Ayurveda which has good properties. Black cohosh (cimicifugaracemosa) is a tall perennial plant in the buttercup family that grows in eastern and central areas of the united states. Black cohosh was used by native americans as a traditional folk remedy for womens' health conditions, such as menstrual cramps and hot flashes, arthritis, muscle pain, sore throat, cough and indigestion. The juice of the plant was used as an insect repellent and was made into a salve and applied to snake bites. 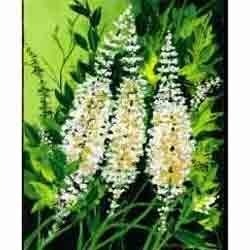 Today, black cohosh is used primarily as a nutritional supplement for hot flashes, mood swings, night sweats, vaginal dryness and other symptoms that can occur during menopause, as well as for menstrual cramps and bloating. The parts of the plant used medicinally are the fresh or dried roots and rhizomes (underground stems), which are available in health food stores, some drug stores and online in tea, capsule, tablet or liquid extract forms. The active compound is believed to be 26-deoxyactein. How black cohosh works isn't understood. It was once thought to have estrogen-like activity, but there is growing evidence that it does not. Black cohosh is one of the more popular herbal remedies for menopausal symptoms, such as hot flashes, night sweats, migraines, mood disturbances, heart palpitations and vaginal dryness. Initial research on black cohosh suggests that it may improve some menopausal symptoms for up to six months. In fact, in 2001, the american college of obstetricians and gynecologists stated that black cohosh may be helpful in the short-term (less than 6 months) for menopausal hot flashes. A recent, year-long study on black cohosh, however, didn't find that it had any significant benefit in women with hot flashes or night sweats. Researchers from the national institute on aging and the national center for complementary and alternative medicine gave 351 peri-menopausal and post-menopausal women either black cohosh, black cohosh combined with other herbs, the black cohosh/herb blend plus a soy-enhanced diet, hormone replacement therapy. Although this is the longest study to date, there were some limitations, such as the small number of women in each treatment group. The study authors acknowledge that changes may not have been detected. 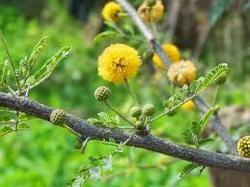 The leaf extract of Acacia nilotica (Babool) is rich in different types of plant secondary metabolites such as flavanoids, tannins, triterpenoids, saponines, etc. We have demonstrated the use of the leaf extract for the synthesis of gold nanoparticles in water at room temperature under very mild conditions. Scientific Name Curcuma longa Linn. Hindi Name Haldi, Hardi . Drug consists of the dried rhizomes of the plant. 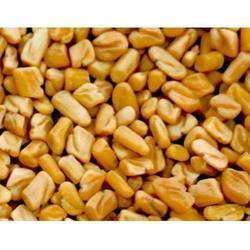 It is cultivated in almost all the states of India. The central or primary rhizome ovate, oblong or round or cylindrical, conical and varies from 3-8 cm. in length and 2- 3 cm. in diameter. Leaves very large often in tufts, upto 3m. long. Flowers 10-15 cm. long and yellow in color. Curcumin (Haldi) is pungent and bitter in taste. Heat generating and reduces Kapha and Pitta. Ginger is among the healthiest (and most delicious) spices on the planet. It is loaded with nutrients and bioactive compounds that have powerful benefits for your body and brain. The rhizome (underground part of the stem) is the part commonly used as a spice. It is often called ginger root, or simply ginger. 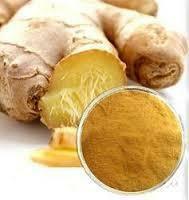 Ginger has been used for stomach upset, motion sickness, nausea, and vomiting. Common Name (s) Hoodia cactus, Bushman's Hat, queen of the Namib, hoodia, xhooba, !khoba, Ghaap. 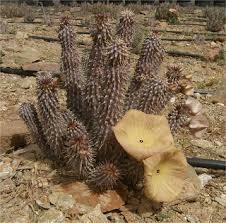 Hoodia Gordonii works by mimicking the effect that glucose has on the nerve cells in the brain. These cells transmit the feeling of fullness to the brain, diminishing appetite. The problem is that these well documented effects of the whole fresh plant do not necessarily translate to effective extracts and supplements sold as Hoodia here in the West. Hoodia gordonii is both scarce and expensive and therefore have some unscrupulous firms been selling products said to contain hoodia gordonii but do not contain it at all. Have a bleeding or blood clotting disorder or are taking a medicine to increase or decrease the clotting of their blood such as aspirin, (Coumadin), or heparin. Marshmallow root has been used for centuries to treat infections, improve digestion and so much more. How can this be? For anyone suffering from a sore throat, cough or cold. 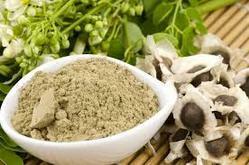 Mulethi Extract is used in Ayurvedic formulations for treating respiratory and digestive disorders. The medicines made by using Mulethi Extract as an ingredient are specially indicated in the treatment of chronic acidity, ulcers and chronic bronchial conditions. 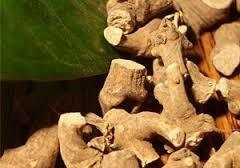 Also, Mulethi Extract acts as an anti-stress and anabolic agent. Liquorice benefits the health in various ways as it strengthens bones and muscles. It is valuable in the natural treatment of bronchitis, sore throat, cough, chest congestion, mouth ulcers, peptic ulcers, kidney problems, lethargy, hair loss, and so on. Moreover, it boosts the immune system, supports the glandular system, and improves the efficacy of other herbs. Liquorice or Mulethi is also used as a sweetener because of it pleasantly sweet, woody flavor similar to that of fennel and anise. Ingest mulethi to treat a variety of ailments. 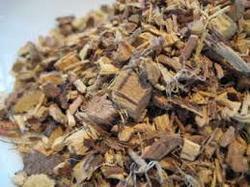 Mulethi, or licorice, has traditionally been used for arthritis, stomach ailments, and overly oily hair. Nettle root comes from the stinging nettle plant, also known as Urtica dioica. With a long tradition of medicinal use, stinging nettle was historically used to treat joint pain and help the body rid itself of excess water. 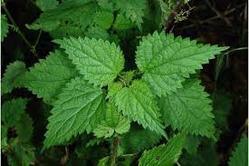 Stinging nettle is a plant. People use the root and above ground parts as medicine. Stinging nettle is used for many conditions, but so far, there isn’t enough scientific evidence to determine whether or not it is effective for any of them. It is a good source of iron, potassium, manganese, calcium, magnesium, phosphorous, silica, iodine, silicon, sodium, and sulfur. It has high amount of proteins and amino acids. Valerian (Valeriana Officinalis), also called Tagar, is brain tonic, stress reliever, antispasmodic, hypnotic and mild sedative in action.Tagar is known as Indian Valerian in English. It is highly used in herbal medicines for diseases related to brain, mind and muscles. Common Name(s): Aluka, Barbasco, Colic Root, China Root, Devil's-bones, Mexican Wild Yam, Rheumatism Root, Shan-yao, Wild Yam, Yuma. Plant Parts Used: The roots and rhizome are dried and used for medicinal purposes. Wild Yam is a very good antispasmodic so is good for menstrual cramps, relaxing muscles, soothing nerves, relieving pain, poor circulation and neuralgia, for the inflammatory stage of rheumatoid arthritis and for abdominal and intestinal cramping. 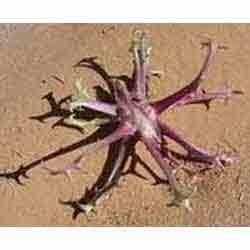 The tubers of the devils claw plant are widely recognised as having anti-inflammatory and analgesic properties. Research has shown that devil's claw offers protection against joint cartilage degradation and is effective in the treatment of rheumatoid arthritis, osteoarthritis and tendonitis. It has also been shown to have positive effects on kidney inflammation, irregular heartbeat and high blood pressure. Products made with devils claw are increasingly being considered as alternatives to non-steroidal anti-inflammatory drugs (NSAD), are registered as herbal medicines in france and germany, and as a food supplement in the uk, netherlands, the usa and the far east. The active ingredients include iridoid glycosides such as harpagoside, procumbide and harpagid; phenols such as acetosid and isoacetoside and other substances including hapagoquinones, amino acids, flavonoids and phytosterols. Graviola is a small tree 8 to 10 m high, cultivated in almost all tropical America. It has a fruits from 15 to 20 cm long.In traditional medicine, its fruits are used to combat rickets, root bark and leaves used to treat the diabetes (infusion) and also as an antispasmodic. The crushed leaves with salt are used by tumors.Actually its importance lies in the possibility of being used to relieve some discomfort because their leaves are substances such as acetogenins, which have an activity similar to that of products used in chemotherapy (eg adriamycin) with the quality of not presenting their side effects. The plant is grown as a commercial herb crop for its 20-30 cm (7.9-12 in) long, prickly, green fruit, which can have a mass of up to 15 lb (6.8 kg), making it probably the second biggest annona after the junglesop.Away from its native area, some limited production occurs as far north as southern Florida within USDA Zone 10; however, these are mostly garden plantings for local consumption. It is also grown in parts of Southeast Asia and abundant on the Island of Mauritius. The soursop will reportedly fruit as a container specimen, even in temperate climates, if protected from cool temperatures. The Graviola Tree Is Indigenous Of The Amazon Rain Forest In South America. This Tree Is Popularly Known As The Brazilian Pawpaw. The Tree Is A Favourite Mostly Due To Its Wide Array Of Medicinal Value. It Is A Little Tree That Grows To A Maximum Of 6 Meters Tall. It Is Characterized By Dark Green Leaves That are Amazingly Polished. The Tree Produces Heart-shaped Fruits That Are Used In Different Ways. The Graviola Fruit Is Usually Eaten Whole. It Is Rich In Nutrients That Are Believed To Boost The Body's Immune System. Some People Would Prefer To Blend The Fruits And Extract The Juice To Create Refreshments. This Has No Difference With Taking The Fruits Whole As No Nutrients Are Lost During The Juice Extraction Process. The Extract And Leaves Are Known To Cure Diseases Like Cancer. They Are Also Effective In Eliminating Any Unwanted Microorganisms, Viruses And Organisms From The Body System. The Graviola Tree Is Magnificent As All Its Parts Have A Medicinal Value. The Seeds, Bark, Roots, Leaves And Fruits Create Different Organic Medicines. The Graviola Juice Extract Reduces The Fever Levels Significantly. People Who Have Digestion Problems That Lead To Diarrhea Will Find The Juice To Be Very Helpful. Graviola leaf and steam (soursop) 500 mg by Physician Formula, this is a reliable brand and is available on their website. Gymnemasylvesre is A Herbal Supplement That Is Growing In Popularity As A Way To Decrease Blood Sugar Levels, Help Fight Obesity, And Lower Blood Triglycerides. Though This Supplement Has Been Found To Be Very Safe When Used Right, Abusing It Can Result In Serious Health Concerns, And Can Even Lead To Coma Or Death. As With Any Dietary Supplement That You Are Considering Including In Your Diet, It Is Important To Understand A Bit About Gymnemasylvestre Before Evaluating Whether Or Not It Is A Good Supplement For You. Gymnemasylvestre Is An Herb Which Is Native To India, And Whose Name Means “destroyer Of Sugar.” As The Name Suggests, This Herb Is Most Commonly Used For The Treatment Of Conditions Related To Sugar Imbalances, Such As Diabetes, Obesity, And Other Similar Health Concerns. Though When Used Properly, Gymnemasylvestre Has Been Found To Be Actually Quite Healthy, Improper Use Can Result Is Serious And Even Life-threatening Conditions. As Discussed Above, One Of The Most Popular Ways In Which Gymnemasylvestre Has Been Used Is For The Treatment Of Diabetes. One Study That Examined The Effects Of Gymnemasylvestre On Type I Diabetics Found A Significant Improvement In Blood Sugar Levels And Insulin Requirements. These Results Were Mirrored In Another Study Which Evaluated The Effect Of This Herb On Type II Diabetics. It Is Important To Note That In This Study, The Patients Received An Extract From The Leaf Of The Gymnemasylvestre Herb. Another Great Dietary Benefit Associated With Gymnemasylvestre Is A Decrease In Sugar Cravings. This Can Be Especially Beneficial For Individuals Who Struggle Against An Affinity For Sweets In Their Goal To Lose Weight. Research Has Found That When The Leaves Of The Gymnemasylvestre Plant Are Applied Directly To The Tongue Or Are Chewed, There Is A Decrease In The Ability Of The Subject To Taste Sweet Foods. This May Limit Cravings And Binges, Thereby Helping To Achieve Significant Weight Loss Results.